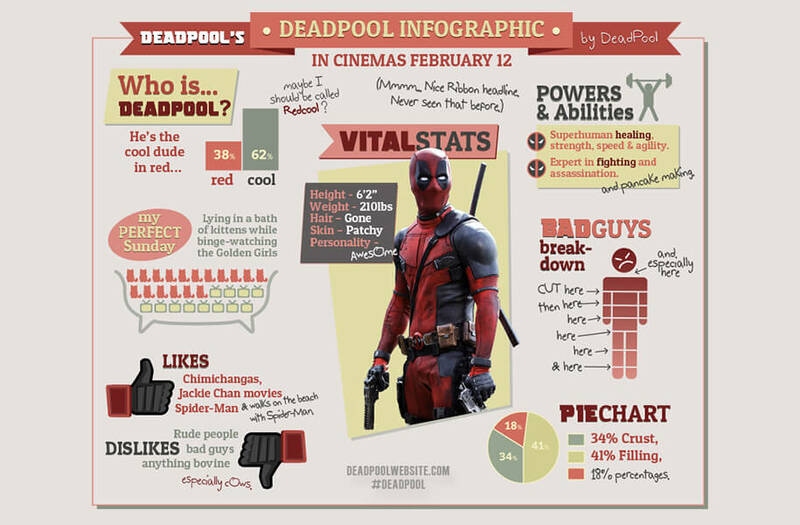 Our challenge from 20th Century Fox was to make Deadpool the most talked-about Super Hero, in a very crowded Super Hero year, through a unique online campaign – and ultimately deliver box offices sales. 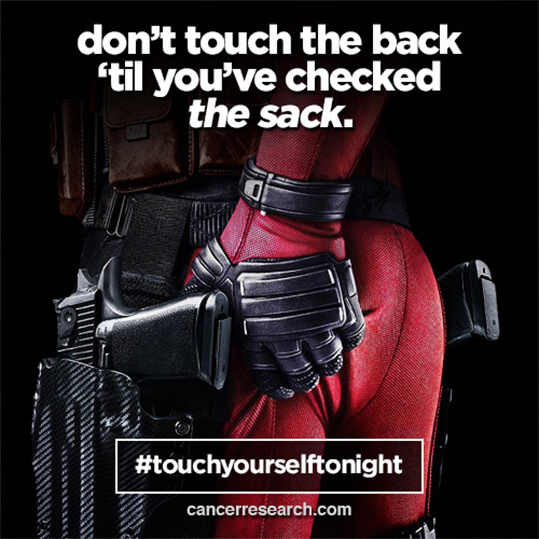 The initiative, starring Ryan Reynolds in character as Deadpool, centred around two instructional videos outlining simple self-examination techniques that can help spot the early signs of testicular and breast cancer. 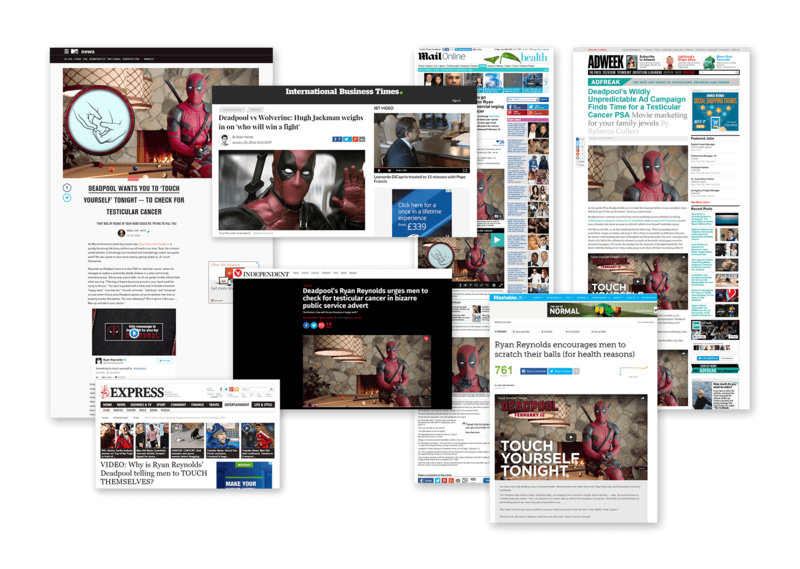 The videos were supported by a series of teaser/pre-roll videos, static shareables and a thank you message from Deadpool. 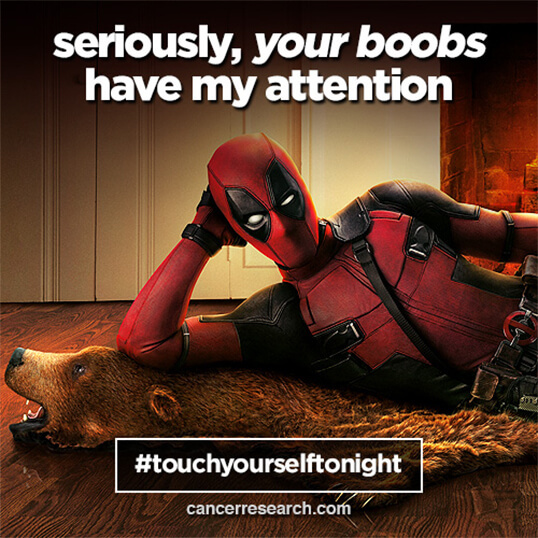 These particular cancers are highly relevant to the movie’s target audience. Indeed, men aged between 15-35 are most at risk for testicular cancer, but research shows them to be the least aware/willing to talk about self-examination of any audience. If the signs are caught early, there is a 99% 5-year survival rate; for breast cancer, it’s 100%*. 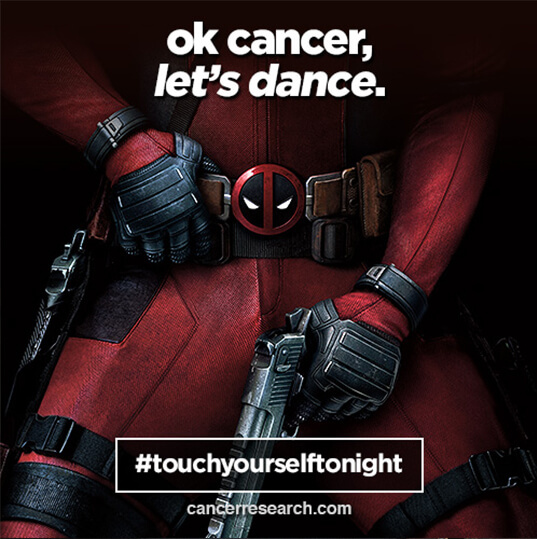 Therefore awareness is critical – and at the core of the campaign’s provocative call-to-action: #touchyourselftonight. And it worked. The campaign generated over 100m combined organic views online; 192k tracked shares* and 27k comments*; and trended worldwide on Facebook, Twitter and Reddit. Influential consumer/trade outlets picked up the story worldwide, including Forbes, Entertainment Weekly, MTV, Mashable and AdWeek. The movie smashed opening box office records in numerous markets, achieving the biggest-ever box office debut for an R-rated film. Its current global box office earnings exceed a staggering $780m.